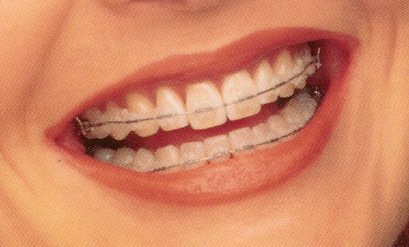 Ever Wonder What Your Smile Would Look Like After Braces? If you are anything like a lot of other people with crooked or imperfect teeth, you have probably wondered what you would look like if you had braces. Well now is your chance to find out. The American Association of Orthodontists are running a promotion where people can send in a photo of themselves smiling and they will edit the photo to show what you would look like after orthodontic treatment. The promotion is called Virtual Smiles and you can click on the link below to check it out for yourself. It's fun, fast and best of all FREE! At Eder Orthodontics, Dr. Eder and his team, work with patients of all ages and needs. These patients often include patients with special needs and disabilities. Dr. Eder is experienced working with these patients, and he and his team work hard to help create a comfortable & relaxing environment for them and their families. Whether the patient is wheelchair bound due to an illness or accident, or suffers from Down’s Syndrome or other developmental disability, Dr. Eder and his team work hard to accommodate all the needs of all the patients entrusted to his care. It is not unusual for Dr. Eder to set aside extra time to work with some of his special needs patients at the parent’s request, so as to not overwhelm a patient that might not feel comfortable in a waiting room filled with patients. Dr. Eder’s compassion and experience in working with patients with and without special needs is unsurpassed. He and his staff at Eder Orthodontics treat all of their patients special, regardless of their needs.